Patent medicines are concoctions claiming to have impressive health benefits, but in reality have little, if any, medicinal value. Their claimed ingredients often included herbs, roots, or vegetable compounds. Consumers could actually feel better, but it was likely the result of the high alcohol content, or ingredients derived from narcotics such as opium or cocaine. Some of the health claims made about patent medicines are humorous now, but in its day, it was a highly competitive business. 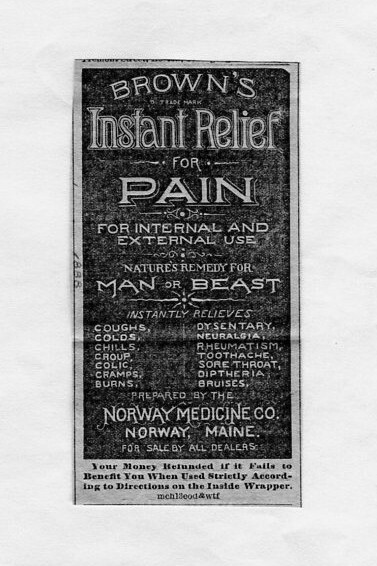 The Norway Medicine Company was the producer of Brown’s Instant Relief for Pain, a typical patent medicine. The company was started by Dr. George W. Brown in 1888, to market the product he created. The company was sold the next year to Fred W. Sanborn the publisher of the Norway Advertiser local newspaper. It is interesting to note that F.W. 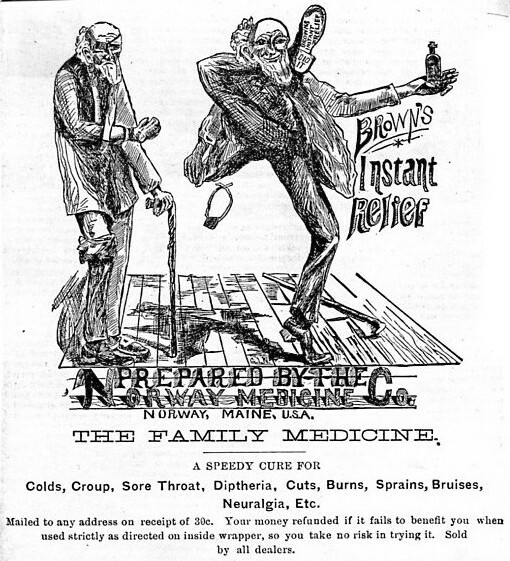 Sanborn gave an 1887 testimonial about the medicine’s effectiveness which was used in an ad pictured below. Advertisements claimed the medicine was “equally good for man or beast,” and was effective whether taken internally or applied externally. 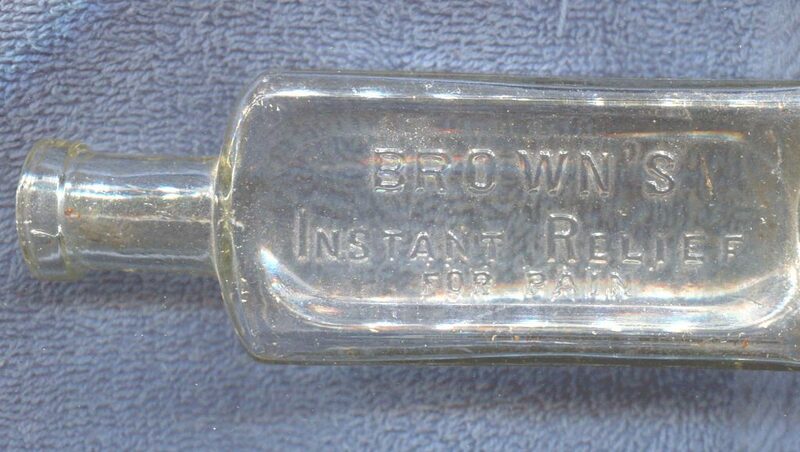 Old Brown’s Instant Relief bottles a not difficult to find, nor are the later Brown’s Relief bottles. The name of the medicine was changed in the early 20th century, when laws became more stringent concerning the ingredients of patent medicines as well as the promises of their effectiveness.